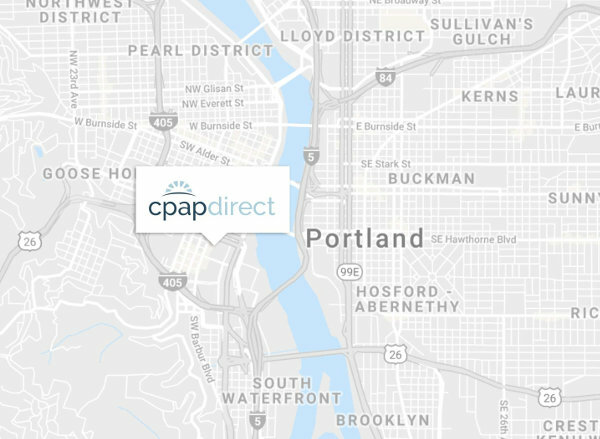 How Do I Get a CPAP Prescription? The growing awareness of sleep disorders has led many people to seek treatment for obstructive sleep apnea (OSA). The majority of these patients benefit from continuous positive airway pressure (CPAP) therapy – a safe and reliably effective treatment option for OSA. Many potential sleep apnea patients may delay seeking help, fearing that diagnosis and treatment are too invasive, time-consuming or expensive. Fortunately, diagnosing sleep apnea and getting a prescription for CPAP therapy has become a more streamlined and patient-friendly experience in recent years. CPAP therapy requires a prescription from a licensed medical professional, but the first step is to recognize that there is even a problem. This recognition may come from a friend or sleeping partner who has observed disruptive snoring or pauses in breathing during sleep. It may also be as a result of the patient not feeling well. Unfortunately, our society has normalized shorting sleep. This leads to many people who are so accustomed to being tired they don’t even realize they can actually feel better. Also, many people have misconceptions that sleep apnea only occurs in obese patients. People suffering loud snoring, disrupted sleep, teeth grinding, night sweats, need to urinate during the night, daytime drowsiness or morning headaches are all at risk for sleep apnea as the root cause of their issues. Patients may not appreciate that obstructive sleep apnea is a common medical condition, with an estimated 10–25% of adults experiencing clinically significant OSA. Considering that the majority of these people suffering from sleep apnea never get diagnosed, much less treated, recognizing the potential problem is probably the biggest hurdle to getting treatment. Often it is the concerned spouse or bed partner who encourages the patient to seek treatment. So listen to your partner, or whoever else is urging you to get checked out for sleep apnea. The first step to a sleep apnea diagnosis is consulting with a licensed medical professional – preferably a Board Certified Sleep Physician (like Sleep Direct founder Dr. Dan Root). CPAP prescriptions can also be obtained from other medical doctors, as well as physician assistants, and nurse practitioners. While obstructive sleep apnea is quite commonplace, a proper medical diagnosis is critical so as to rule out other sleep disorders or serious medical conditions. After this initial consultation, the next step to a sleep apnea diagnosis is a sleep study. A sleep study (polysomnogram) is a test to assess what is going on with a patient’s sleep. Traditionally, it has been conducted in a sleep lab or hospital and involves a comprehensive evaluation of the patient’s sleep behavior. Patients are fitted with equipment to monitor brain waves, eye movements, airflow through the nose and mouth, chest movement, oxygen level and EKG. These in-lab sleep studies also include observation through video monitoring to record sleeping position and other physical activity. All of this data provides medical professionals with a clear picture of the patient’s sleep structure and physiology to make a specific diagnosis of sleep apnea or other sleep disorders. Typically patients will undergo one or two sleep studies in the sleep lab: the first to diagnose suspected sleep apnea, with the second finalizing titration pressure levels. However, thanks to advancements in sleep medicine and PAP equipment, many patients are now able to skip the sleep lab diagnostic polysomnogram by undergoing a home sleep test. Home sleep tests are ordered for patients whose initial consultation indicates they are suffering from obstructive sleep apnea. A typical Home Sleep Test (HST) measures airflow, breathing effort, body position, heart rate and oxygen levels. Another type has a proprietary monitor on the wrist that has also been shown to be reasonably accurate. Home sleep tests are usually an effective tool to diagnose mild to severe sleep apnea. If the home sleep test is inconclusive or does not indicate sleep apnea, then a follow-up in-lab visit is usually required. The type of sleep apnea (obstructive, central or mixed), severity of symptoms and other factors, like patient preference, impact the medical provider’s decision on what type of PAP machine and pressure settings they prescribe. Just like in the move to home-based diagnosis, the initiation of therapy can now commonly be done at home through Auto-titration PAP devices. The default treatment course used to be a second in-lab sleep study to dial in the specific titration pressure settings, which are required for the CPAP prescription. However, the more sophisticated AutoPAP machines are able to adjust airflow pressure as needed, giving medical providers the flexibility of prescribing a range of pressure settings. This also allows patients with OSA to get started immediately on AutoPAP therapy. With most modern PAP machines offering connected care through built-in wireless/Bluetooth, medical providers can also now monitor patients remotely and even adjust therapy settings in some cases. While AutoPAP makes things easy for many patients, it isn’t an option for everyone. As previously stated, there are various factors that determine what PAP machine and settings will be the most effective for each individual patient. An experienced and qualified sleep physician will work with their patient to find the best option for their sleep apnea therapy. What Should My CPAP Prescription Include? A CPAP prescription, like a pharmaceutical prescription, requires the medical provider’s contact information and signature. The CPAP prescription should include all the relevant information of your treatment plan, like the PAP machine type and titration pressure settings, as well as CPAP mask and humidification requirements. In regards to the latter equipment, the prescribing doctor might specify a certain mask type or humidifier, or leave it more open-ended to patient preference. For a comprehensive outline of the information needed for your CPAP therapy prescription please reference Sleep Direct’s Certificate of Medical Necessity Form, which must be filled out and sent to Sleep Direct before purchasing equipment requiring a prescription. Will Insurance Cover My CPAP Therapy? Almost all health insurers now cover CPAP therapy. This is due, in part, to the increased awareness of sleep apnea and growing popularity of CPAP in recent years, but it is also a recognition that treating sleep apnea helps improve or reduce the impact of other costly medical conditions, like high blood pressure, cardiovascular disease and diabetes. However, the specifics of insurance coverage and authorization requirements vary between plans. Some insurers may require renting PAP devices from an equipment company, or mandate therapy compliance for reimbursement. However, patients shouldn’t be discouraged about these insurance barriers, as most plans cover CPAP therapy costs in accordance with their deductible and copayment rules. Patients should take note to include the proper HCPCS codes for insurance reimbursement, which is included in the Certificate of Medical Necessity Form. For more information on this subject read Sleep Direct’s Health Insurance and CPAP Equipment article. Most CPAP devices and supplies are covered by Health Savings Accounts (HSA), with Sleep Direct able to accept HSA funds for most purchases online. Patients should also be aware that buying a CPAP machine, mask or other supplies from Sleep Direct gives you the opportunity to sidestep insurance entirely. Purchasing online with Sleep Direct entitles you to significant discounts that are likely unavailable through insurance-mandated equipment sources. This may constitute the most cost-effective option for patients, particularly those with high-deductible plans – a growing trend in the health insurance market. Don’t let the anxiety of doctors, insurance and equipment costs deter you from enjoying the benefits of CPAP therapy. Getting a sleep apnea diagnosis and starting effective treatment through CPAP therapy has never been easier. Call your medical provider today and see if a CPAP therapy prescription is the solution to your sleep troubles.